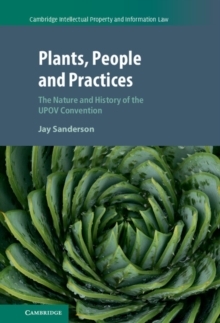 The International Union for the Protection of New Varieties of Plants (UPOV) and the UPOV Convention are increasingly relevant and important. They have technical, social and normative legitimacy and have standardised numerous concepts and practices related to plant varieties and plant breeding. 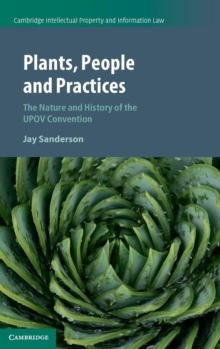 In this book, Jay Sanderson provides the first sustained and detailed account of the Convention. Building upon the idea that it has an open-ended and contingent relationship with scientific, legal, technical, political, social and institutional actors, the author explores the Convention's history, concepts and practices. 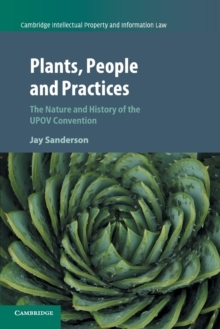 Part I examines the emergence of the UPOV Convention during the 1950s and its expanding legitimacy in relation to plant variety protection. Part II explores the Convention's key concepts and practices, including plant breeder, plant variety, plant names (denomination), characteristics, protected material, essentially derived varieties (EDV) and farm saved seed (FSS). 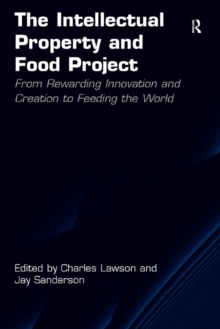 This book is an invaluable resource for academics, policy makers, agricultural managers and researchers in this field.